I was lucky enough to be featured in The Color Room again. 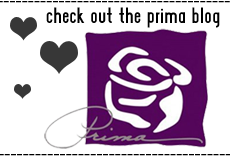 Prima sponsored the site all month long and it was so fun to participate in the challenges. 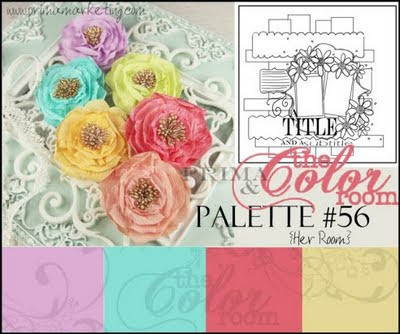 The color palettes were beautiful and I highly recommend that you check it out. 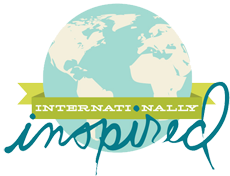 The inspiration is wonderful and so are all of the members-it's a very warm welcoming site. 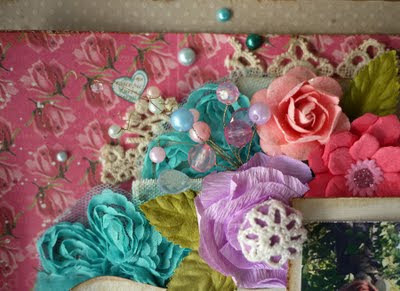 I stayed true to the sketch, adding strips of lace along the paper edges and layered papers to build up the background. All of the paper edges were inked and distressed. I did this with Vintage Photo Distress ink and my Tonic edge distresser. 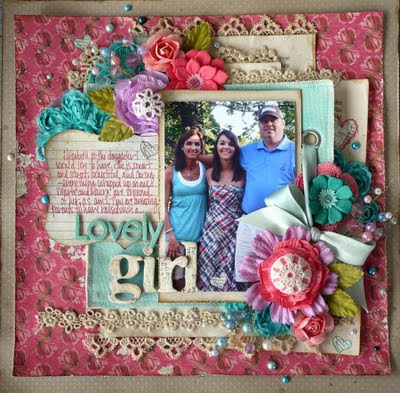 I also colored a 6x6 canvas refill page with Patina Glimmer Mist and added it to the background to showcase my photo. This is one of my favorite photos of my niece with my sister and brother inlaw...she is an amazing girl-I adore her! So thats it for today! 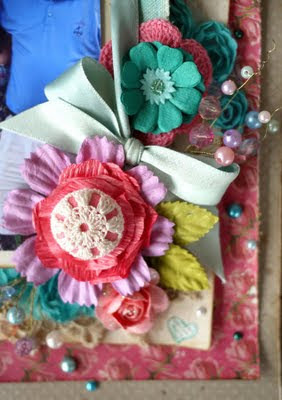 I have some Live with Prima classes coming up this month and I plan to share the projects with you soon! Thanks so much for stopping by-I appreciate it so much! 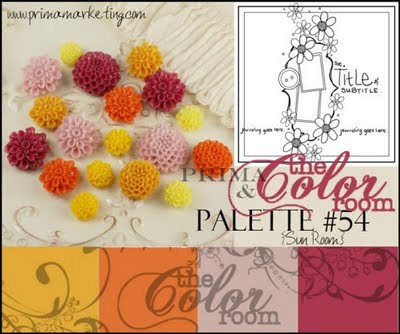 Prima is sponsoring the Color Room this month and I have been asked to create some work using their color palettes and sketches. 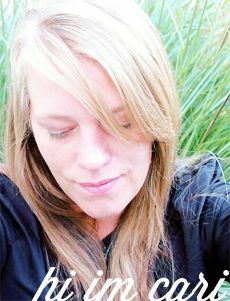 If you haven't been to this site-you need to check it out! It's one of the very best challenge sites out there, with an amazing design team, a great community, gorgeous palettes and amazing sketches to get your mojo working! I am telling you---you are going to love it there! OK-so here is my take on it. 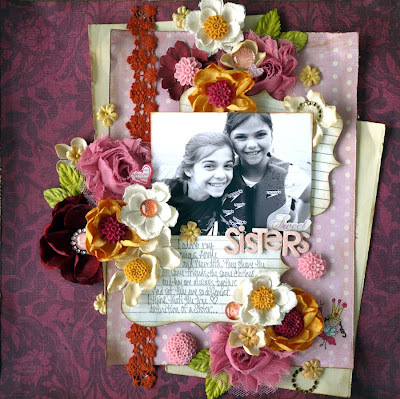 I used a photo of my nieces-they are amazing girls-and I layered Prima papers with old book pages. I inked all of the edges using Vintage Photo Distress Ink and my Distresser from Tonic. 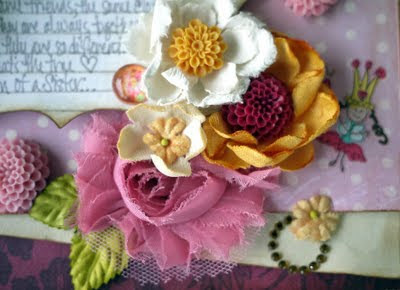 The orange Cabachon lace was toned down with some TA Wheatfields Glimmer Mist and then stapled along side the photo/journaling area. 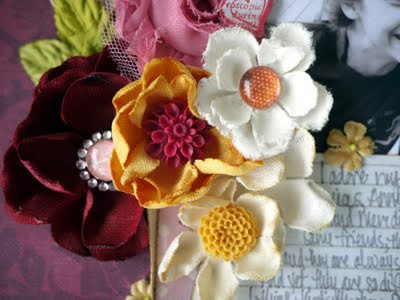 All of the flowers are layered together, including some Prima Rose trim. I used Sculptured flower centers, tiny velvet flowers (from the Aire Collection) and page pebbles to sprinkle around the flower clusters (and also, in the flower centers themselves). So that is all for now! I am working on another layout to share on the Color Room at the end of this month. I am totally hooked on that place! I will share as soon as it's posted! And I promise not be gone so long again! Thanks for stopping by!